A simple stole with a base of beautiful purple batik. See the stole in full here. A bit of red recalls the passion. Palm leaves accent the stole in several ways. Click here to see the Walking with Jesus stole. Labyrinth walking is a perfect Lenten activity. This stole was created with that ministry tool in mind. Click here to see the remaining stole details. Organic fabrics and many shades of purple. An earth friendly option for Lent. 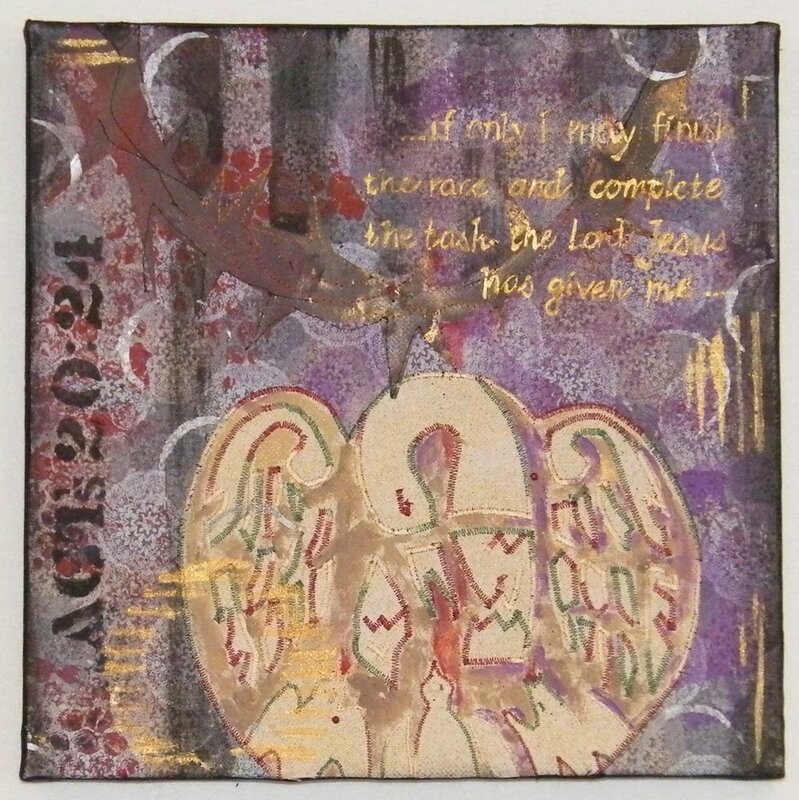 This organic Lent stole may be seen in full here. A cross on the back tip is a nice detail. This is a new version of our popular striped journey stole. 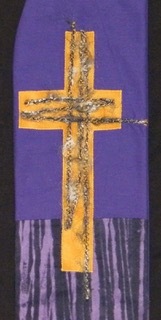 Click to see the front of the stole. We were inspired by the border fabric! 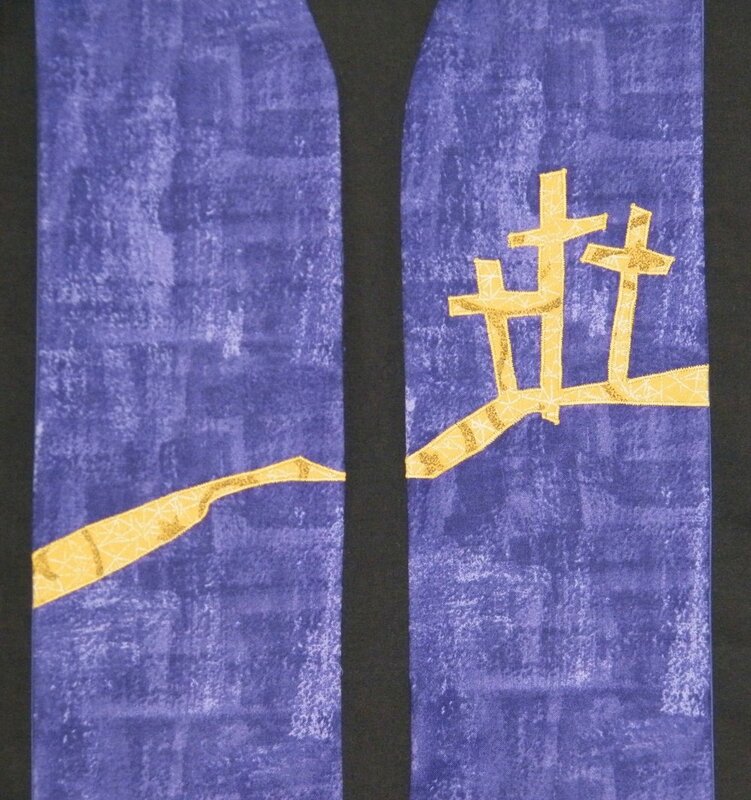 Perfect for a stole for Lent! The base fabric accentuates the roughness of this time. Here is the stole in full. See the entire stole here. 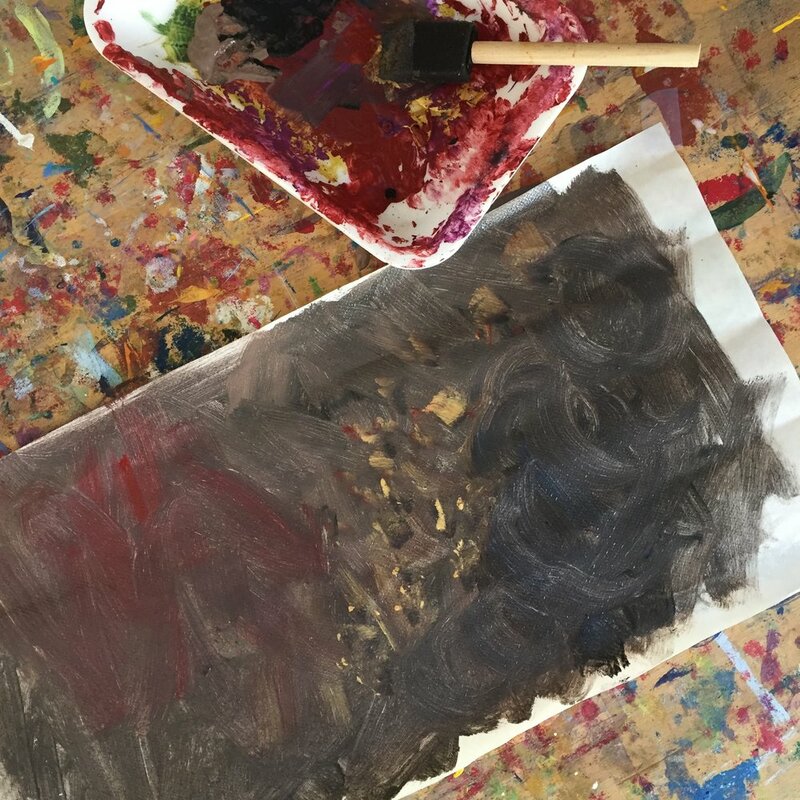 Curious about our process? Here is a glimpse of how our new collage wall art came together. See it in finished here on Etsy! 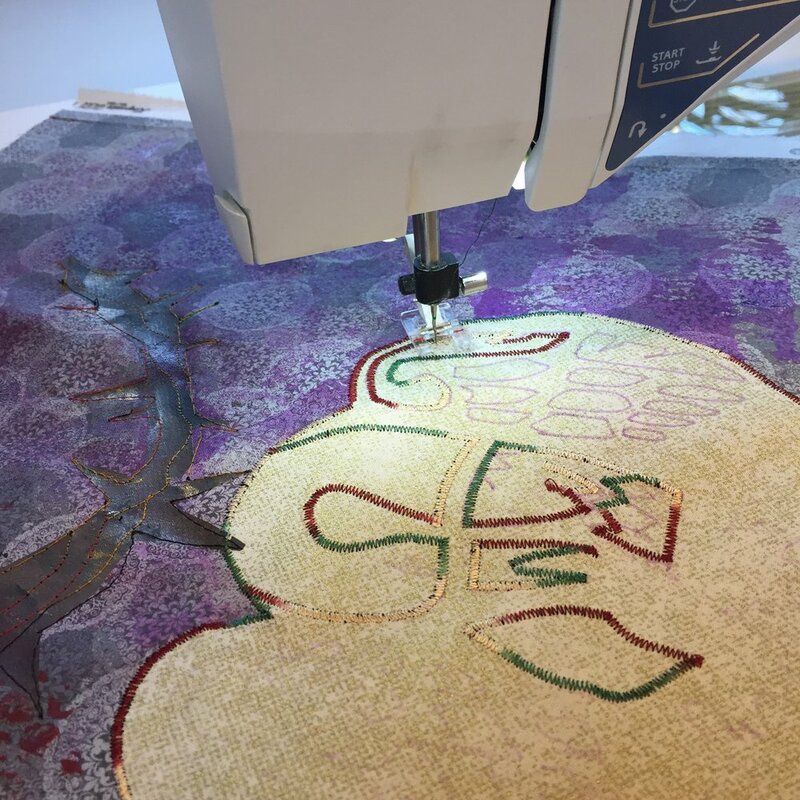 Preparing the fabric for the crown of thorns. 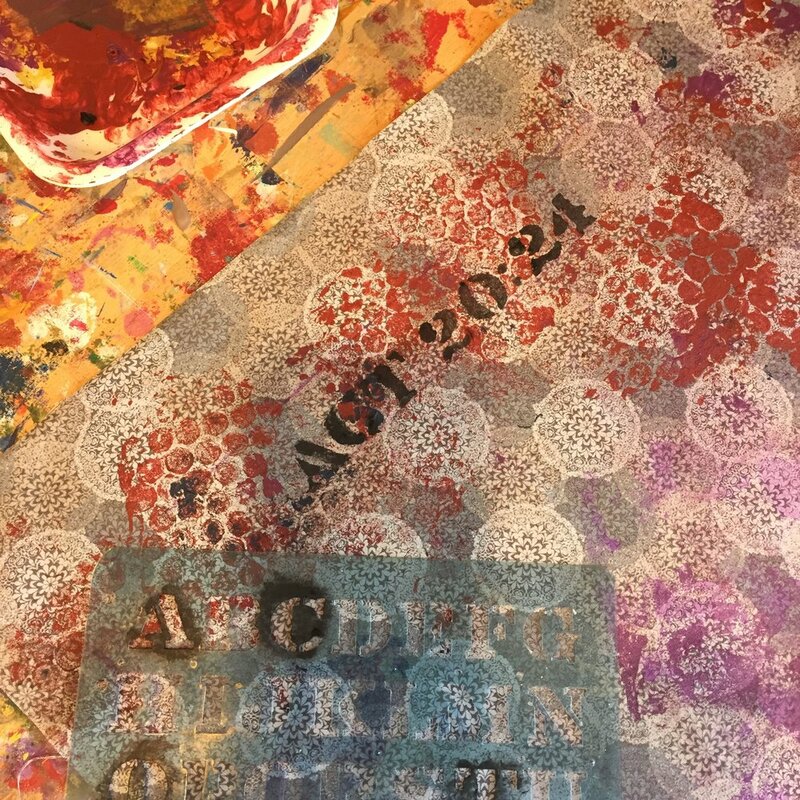 Adding words and background texture. 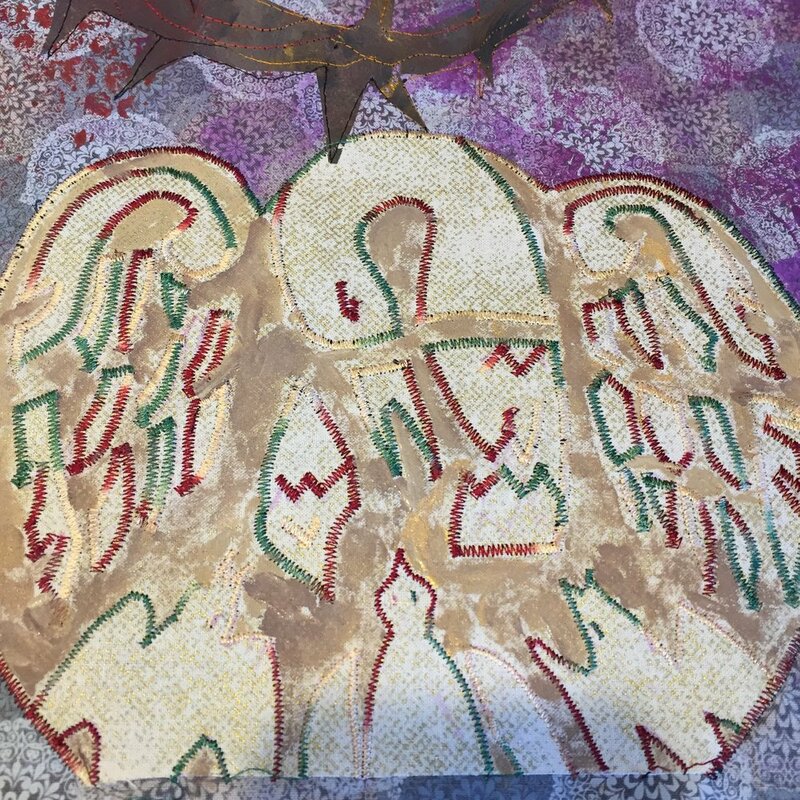 Adding details with textile paint. The finished product in place (situ). The finished work! It's on Etsy! Click here! 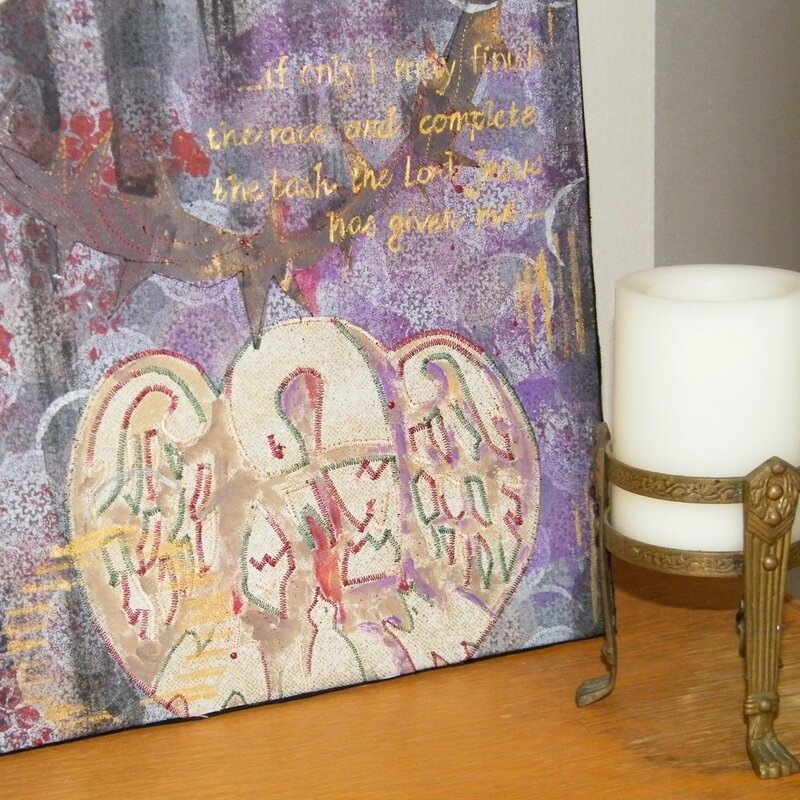 Purple, the color of Lent, serves as a foundation for symbols of barrenness and brokenness. The worship space may be stripped of all other color and signs of life. Plants and flowers are not used during the season. Purple is the traditional color for Lent, but in some faith traditions the use of natural fabrics of brown, beige, or gray are used instead. 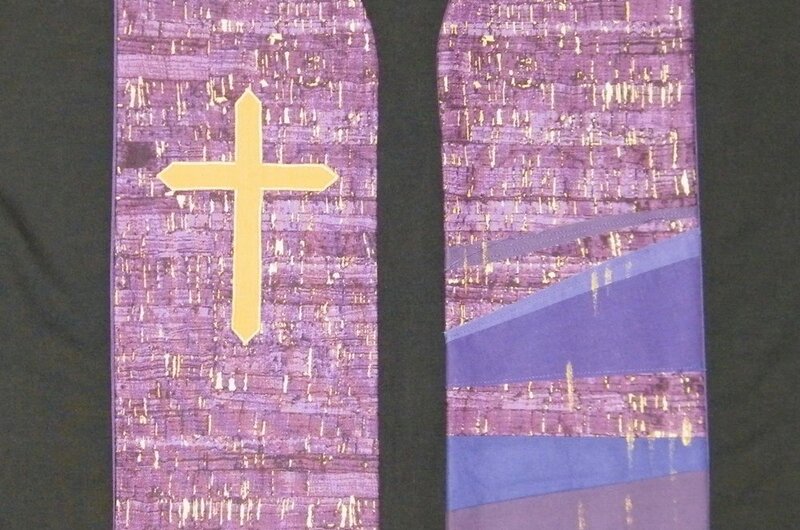 Congregations that use purple at Advent should take care to use different hues at Lent. Today on Ash Wednesday we will start setting the tone for the season: humility, simplicity, sobriety, and even sorrow. Why do so many churches use purple for Lent? journey. And as we begin it, as we make the first step, we see--far, far away--the destination. It is the joy of Easter, it is the entrance into the glory of the Kingdom. The reign of Christ the King.
. Shipping is via Priority mail within 24 hrs. of receiving your order.